The festive season is upon us once again; a time for family, fun and merriment. But for landlords, it can also be a time for increased concern. Christmas is a time to be extra vigilant as a landlord, because your risk increases in a number of areas. Security, safety and keeping your property in check should all be at the forefront of your mind. Let’s take a look at why this is, and the steps you can take to protect your tenants, your property and your investment. The weeks leading up to Christmas account for 70 per cent of retailers’ annual revenue. It’s a time for shopping, and as a result, it’s also a time when tech, gadgets and jewellery at home multiply. It is also the time of year when opportunistic intruders go all out to take advantage of the rich pickings the gift buying season presents. Never leave product packaging outside on full display – boxes from TVs, games consoles, laptops and the like are a giveaway to thieves as to new tech recently acquired. Tell your tenants to break the boxes down and turn them inside out before stashing them somewhere discreet ahead of the next recycling collection. Ideally if they can, they should take larger boxes to the nearest recycling facility. Always keep valuables out of sight of windows and doors. Never leave gifts under a Christmas tree if it can be seen from the street. Store anything of value in a locked cupboard or safe ahead of the big day. Keep curtains closed or blinds pulled so that the property doesn’t become a window to the world of opportunistic thieves. Never leave notes on doors asking couriers to leave parcels somewhere. You may as well leave a note saying, ‘we are out’. Suggest to tenants that they try and arrange for parcels to be delivered to neighbours or left in a safe place, or have them delivered to work. Take care with festive lighting. If your tenants want to adorn the outside of their home with Christmas lights, make sure they do not run cables through windows then leave them open through the night or when they are out. Instead, if you are happy to allow such lighting, make it a policy that they use battery operated or solar models. 30 per cent of burglaries occur through windows, so it is crucial that you take steps to ensure tenants are not creating in-roads for burglars. Continuing on the subject of Christmas lights, the safety aspects really need to be considered too. Electrical faults are fairly common with Christmas lights, which are infrequently used or checked. Overloaded extension leads can also pose a serious risk and are a known cause of house fires. Make it a policy that any lights used are PAT tested and suitable for outdoor use where appropriate, so that you can be sure of their safety. Also on a safety note, be aware that injuries sustained by people climbing on roofs to decorate properties with lights are commonplace, not to mention the damage that can be done to shingles and felt by walking on them. A clear policy should be set down within your tenancy agreement covering these issues. Considering the risks, you may wish to ban the use of external Christmas lights altogether. Many landlords choose to do this. You cannot control who your tenants invite into their home, but you do have a right to enforce the terms of the tenancy agreement. People love to party at Christmas, so you’ll need to make sure your tenants are clear that the rules set out in their tenancy agreement also apply to visitors. So, if you have banned your tenants from smoking in your property, then that will apply to any visitors too. The same goes for pets; a no-pet policy means guests cannot bring their four legged friends along either. It may be a good idea to arrange a mid-term inspection shortly after the festive season to assess any for any party-related damage, such as drinks stains on carpets, cigarette burns or breakages. 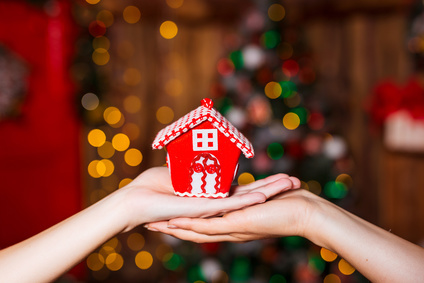 Christmas is a wonderful time of year, and as a landlord there is no reason why that shouldn’t apply to you too. Just an extra bit of vigilance and some wise words of advice really is all it should take to safeguard your property.